Oh snap need to write a blog today. Os I decided to fill it with my quick wit and sharp humor. See it’s there already. I’m just sitting in my dorm room and my roommate is watching a movie. I’m listening to music, Imogen Heap to be exact. My favorite song is “Come Here Boy” at the moment. Anyways, I went to the president of my college’s house tonight. It was nice. We had some good cake. I thought so at least. I had this passion fruit cream on it, yummy. When I was in Colombia, we had it all the time and it was banging. It looks like and has the consistency (NOT THAT I WOULD KNOW) of buggers and snot. I know pleasant, right? Don’t let that stop you from going out and trying it though, because it is delicious. Anyways I felt bad because she was asking us why we chose to come to the college and I was thinking, man I had some different crazy thoughts when I decided to come here. I want to transfer to a bigger school. Yes, my school is small enough that we all got to go to the president’s house and and just have a chat and dinner with her. One class at a time of course, but still that’s how small it is. I love the classes and I get awesome grades, but the social scene is a drag. I have other reasons too! Don’t judge me!!! I am not excited for going on the college hunt all over again, but it’s nice to be redeemed for my mistakes. I actually think I was meant to be where I am at the moment though. So I don’t feel like it was a mistake to come here at all. I got a lot of things straightened out in my head. It’s pleasant. I suppose. You know what you should do for a little pick-me-up? Call your grandma, or any person like that. I called mine and I felt awesome, so I am going to do that at least on a weekly basis. I need to call my parents more, but I always procrastinate about that. I really do want to talk to them though. Odd. ~ by kristinalys on November 17, 2009. 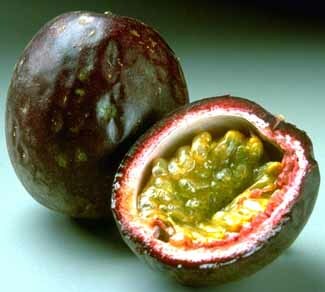 This is a random Blog lol, love the queen song at the end aswell, not so sure if i wanna try that passion fruit stuff though…but can’t knock it til i’ve tried it eh?